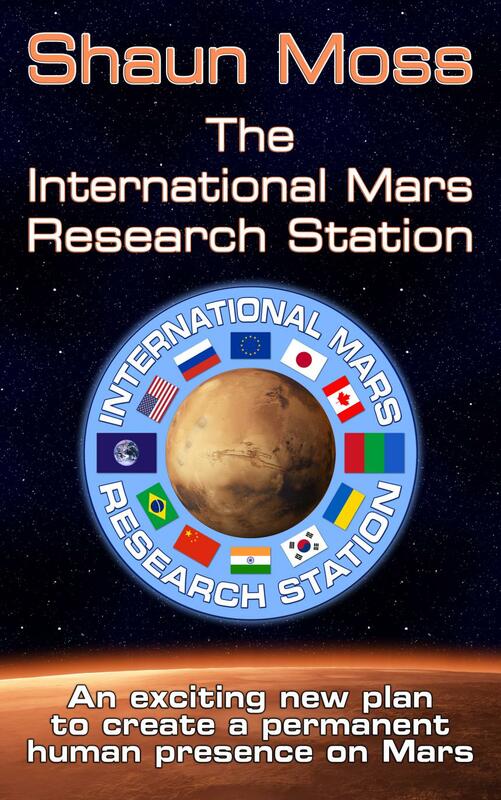 Welcome to the International Mars Research Station, a plan to bring the world’s leading space-faring nations together to cooperate in the establishment of a permanent human presence on Mars for the benefit of all humanity. This book presents a collection of ideas related to a program of near-term, affordable and achievable missions to send multiple international crews to Mars and return them safely to Earth, while accumulating hardware on Mars and developing a permanent base. The intention is an initial step towards settlement. The concept for the base is a shared facility developed by a partnership comprised of the world’s top space agencies, for use by, and for the benefit of, all nations and peoples. Many plans for sending humans to Mars have been proposed over the years, with each iteration incorporating new innovations and technologies, filling gaps and solving problems, and bringing us step-by-step closer to achieving the goal. It is now widely believed within the Mars community that there remain few, if any, genuine technological barriers to sending humans to Mars, and that almost all elements required for a successful mission are now available either from commercial suppliers, or are being, or could be, developed by government space agencies or research institutions in the relatively near future. Although some crucial mission components may still need to be developed, the primary challenges are now arguably financial and political rather than technological. Perhaps the most important and disruptive architecture presented in recent years was Mars Direct (Zubrin, Baker & Gwynne 1991), principally because it introduced the idea of ISPP (In Situ Propellant Production) as a method for drastically reducing the mass to be transported to Mars, and therefore the investment required for a successful HMM (Humans Mars Mission). This represented a quantum leap forward compared to existing HMM concepts. NASA (National Aeronautics and Space Administration) suggested some improvements to Mars Direct, which led Dr Zubrin to develop an evolution of the architecture known as “Mars Semi-Direct”. NASA then developed a new Mars mission architecture based on Mars Semi-Direct, known as the NASA Design Reference Mission. This architecture has evolved to version 5.0 and is now called the Design Reference Architecture (ed. Drake 2009). The DRA has been in development for at least 12 years, involving many experts and departments within NASA, and undoubtedly represents one of the best and most evolved HMM architectures currently available. The use of atmospheric water to replenish supplies during the surface mission (Grover et al. 1998). Biconic spacecraft to improve EDL (Entry, Descent and Landing) performance (Willson & Clarke 2005). Horizontal rather than vertical cylinders for habitats in order to more efficiently optimise geometry (Willson & Clarke 2005). Use MLLV (Medium Lift Launch Vehicles) or EELV (Evolved Expendable Launch Vehicles) to circumvent the significant investment required to develop a suitable SHLLV (Super Heavy Lift Launch Vehicle) (Bonin 2006). Adopting a “base-first” approach rather than a series of missions to disparate locations (Gage 2010). Inflatable modules to significantly expand habitat volume (Kozicki & Kozicka 2011). Capsules to safely deliver cargo and crew (Wielders et al. 2013). The use of SEP (Solar Electric Propulsion) for Earth-Mars travel (Raftery et al. 2013). At the heart of the IMRS plan is a modern, practical, safe (or, at least, safer) and more affordable architecture for human Mars missions, which makes use of the latest advancements in space technology. This architecture, called “Blue Dragon”, is largely an evolution of the DRA, incorporating innovations designed to improve cost-effectiveness, safety, reliability, the likelihood of success, and the overall benefit to humanity. It takes advantage of a number of COTS (Commercial Off-The-Shelf) hardware components that have recently become or will soon become available. The result is an affordable and achievable architecture with improved outcomes. One of the main differences from the DRA is the choice to focus on a single location rather than several, thereby enabling reuse of hardware elements across multiple missions. Another important feature is the use of reusable rockets, capsules and habitats. ISRU (In Situ Resource Utilisation) technology is leveraged for manufacturing propellant, breathable air and water, thus reducing launch mass and mission cost. These strategies for controlling program cost will facilitate sending humans to Mars sooner, and will enable more missions to be conducted and more countries to be involved, thus benefiting more people. Two concepts for precursor missions are “Green Dragon” and “Gold Dragon”, designed to test mission-critical elements of Blue Dragon. These missions are described briefly towards the end of this document. The IMRS is intended as a first step in a broader process of settlement rather than a standalone Apollo-style “flags and footprints” program of purely science and/or exploration. The focus is more on laying the foundations for a permanent human presence: making use of local resources, building up technological infrastructure, studying effects on human physiology and psychology, and generally learning how to live on Mars. This affects the destination as well as surface activities. The fundamental philosophy is to develop a permanent presence as a first priority, then as much science as is desired can proceed much more easily, cheaply, efficiently and conveniently. Research activities during surface stays are therefore primarily oriented around exploration, science and engineering in the context of ongoing habitation of Mars. This plan is not designed to serve the interests of any one nation, but humanity as a whole. For this reason, and also due to the cost and scale of the program, the intention is that it will be completed by an international consortium of space agencies, companies and academic/research institutions. This is considered necessary, not only for budgetary, but also political, ethical and philosophical reasons. 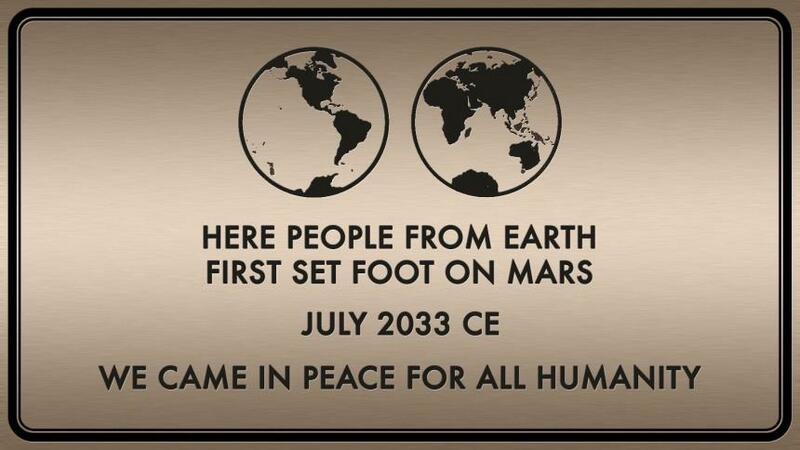 If Mars is to be a future home for humanity, it should be for all humanity, and not any single Earthian nation. To become multiplanetary, nationalistic ideas must be left behind. Humanity should explore and settle Mars as a united people. It is hoped you will enjoy learning more about this exciting project, which has the potential to bring the world together in a peaceful and tremendously historic adventure: opening up a new world for human civilisation.